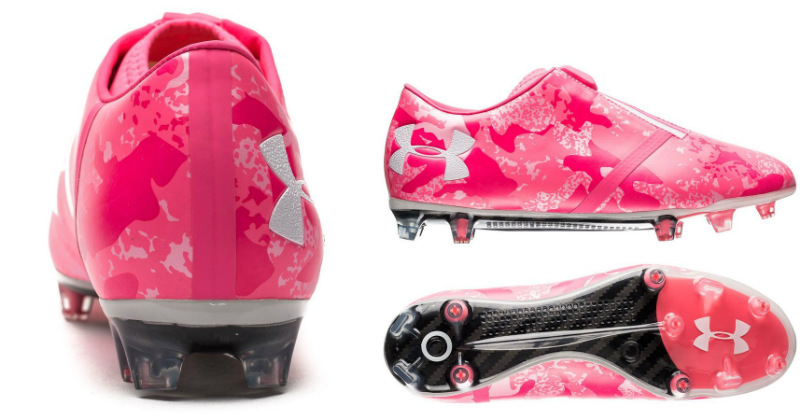 In a show of support for Breast Cancer Awareness Month, Under Armour have released a new limited-edition "Power in Pink" boot pack- and we’re taking a closer look. In the month of October, we see the pink ribbon of ‘Breast Cancer Awareness Month’ take centre stage. 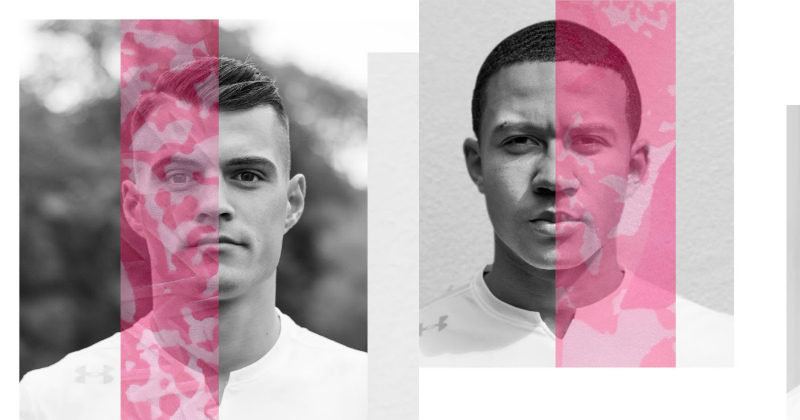 In support of this fantastic campaign, Under Armour have designed a bold pink collection of football boots to help raise awareness and, ultimately, help beat cancer. 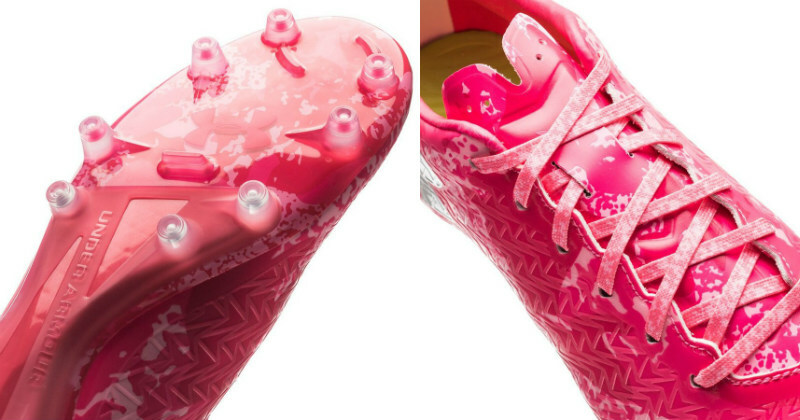 The limited-edition pink cleats will be worn by a number of Under Armour athletes; including footballers Granit Xhaka, Memphis Depay, Trent Alexander-Arnold and Jonathan Tah. 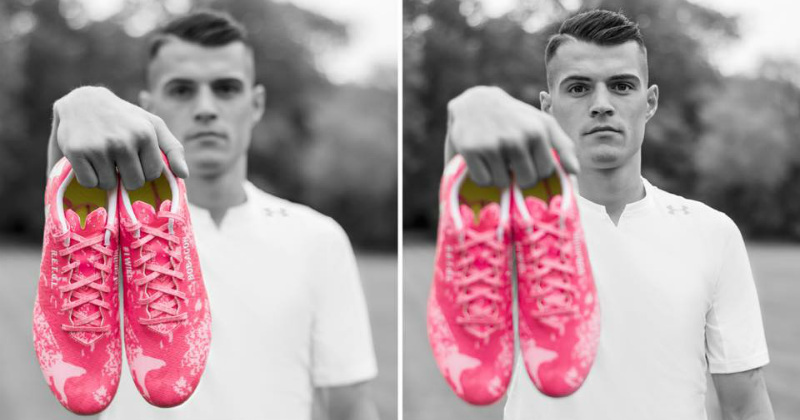 The ‘Power in Pink’ collection includes the ClutchFit Force 3.0 FG as well as the Spotlight 2.0 FG in pink colourways. 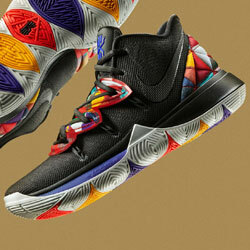 Both designs have a limited 200 pair release worldwide, so you’ll have to get a mooch on to get your hands on some. 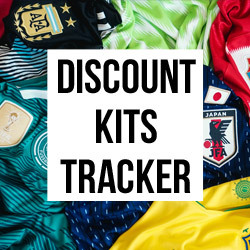 In addition, all proceeds will go towards funding breast cancer research. 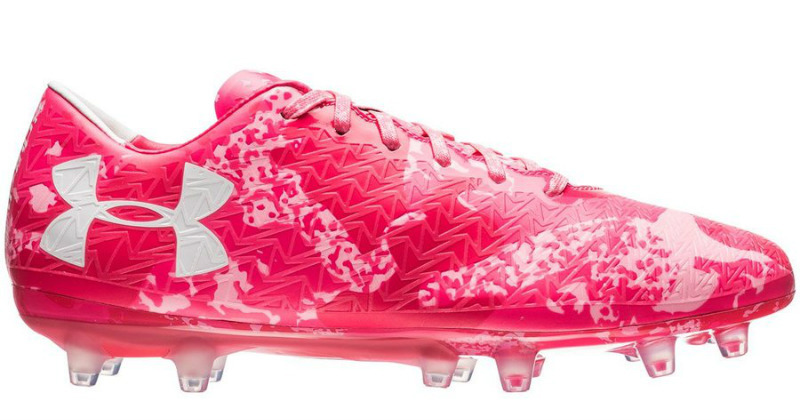 The ClutchFit Force 3.0 Power in pink edition weighs in at 216 grams thanks to a light-weight microfibre upper. ClutchFit technology returns with a strategically placed hour-glass shaped pattern that expands and contracts as your feet do. Symmetrical lacing adds to a dynamic fit giving you a delicate touch on the ball, and an upper coated 3-D rubber layer has been developed to ensure you keep that delicate touch in all weather conditions. The Spotlight 2.0 FG completes the collection with a slightly heavier 223g synthetic upper which is soft and flexible. 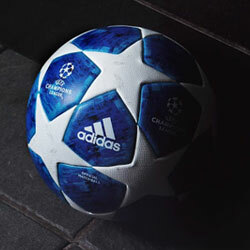 The material adapts to your feet for an individual fit, allowing players to unleash their own unique style of play and technique. With one of a kind heel cap technology ensuring the best fit, the boot will feel like an extension of your foot. The insole is equipped with traction pads placed at the front and middle of the foot ensuring a skid-proof design for better grip. A more efficient use of energy means you can achieve higher speeds and faster acceleration, making it perfect for pacey wingers such as Depay that just love to cut inside at speed. 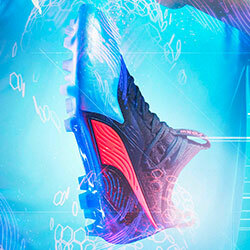 Under Armour updated the ClutchFit model quite a while ago with the new Magnetico silo. 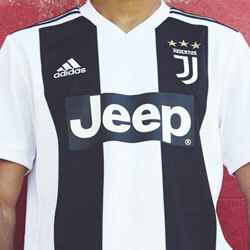 For their first makeover, the boots have been given a sleek black and silver colourway.